A couple of days ago, a reader of this blog has posted a comment asking for advise in enabling the user to dynamically set plot properties. While this can be done using the built-in inspect function, the reader correctly noted that this presents a list of numerous properties, most of which may not be very interesting for the casual user. So I wanted to use the opportunity to show an alternative mechanism that I have used in one of my applications and I think answers the need. It relies on a border-less button that is located right next to the plot axis origin, and when clicked, presents a simple plot line-style modification dialog window. We start by creating a simple Java button (a com.mathworks.mwswing.MJButton in this case) with the simple text ‘+’. The benefit of using com.mathworks.mwswing.MJButton rather than the standard javax.swing.JButton, which MJButton extends, is that MJButton added a FlyOverAppearance property to the standard JButton. This is a very handy feature that enables to present a border-less button, except upon mouse hove, in which case a shadow border is displayed. This is exactly the effect used to highlight toolbar buttons upon mouse hover. To emphasize the button’s action, we set a HAND_CURSOR cursor whenever the mouse hovers over the button. The benefit of using this simple trick is that the ‘+’ button is unobtrusive, and yet highly accessible. Of course, similar button can be used for a wide variety of callback functionalities, limited only by your imagination! This looks very useful! Thank you. Now, to figure out how to expand this to modify properties for several plots on one set of axes (but that’s the fun part). Thanks Yair for sharing this feature. As you said the ‘+’ button is unobtrusive compared to any other uicontrol. Looks like a very handy feature. Actually (being a newbie in matlab programming) I’ve some problems in setting your code snippet into a working code frame. How do I obtain hAxis and hFig ? @Rudi – hFig is simply the Matlab handle for the containing figure, and hAxis is the handle of the relevant plot axis. These handles can be gotten via the gcf and gca functions respectively. Is there anyway to set a uicontrol pushbutton to be borderless? I like what you did, do you know how to do that using uicomponent(‘style’, ‘pushbotton’) instead of using a java button? @Joel – customization of uicontrol buttons, including the issue of changing or removing the border, was discussed here. Placing the buttons so that they stay in the correct position when rotating the 3D axis seems to be problematic, however. I have been trying to use viewmtx or the hidden properties such as x_ViewTransform in conjugation with the dsxy2figxy from the FEX, but the buttons still do not appear in the correct locations. @James – I do not know any easy way to do it. You can place a property listener on the aforementioned axes properties, such that whenever these properties change, the invoked callback will update the button position accordingly. Thanks for your post. It is very helpful! But when I open my GUI, this one opens, then is hidden by Matlab and re-appears after. It seems to be a double opening on the screen. What do you mean by Visible? 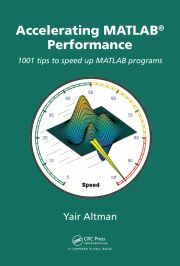 I am a beginner with Guide; for me, the create function and then the opening function of the figure are called by Matlab when I run the gui with the Command Window. I try to add my lines (variable = findjobj(findobj(gcf, 'Tag', 'bouton11'); variable.setFlyOverAppearance(true);) in these functions before your answer and also in the create function of the button but there is always this flicker. I feel i am not far from the solution but I have no more ideas. Ok I found the solution. It is just because I didn’t know the output function I discovered few seconds ago on another page of your wonderful website. Is it possible to do button with round corner easily? Arash Marashian (12 days 19 hours ago): Problem Solved. I found out that my version does not have this icon. thanks. Marshall (13 days 22 hours ago): This was a fun puzzle–don’t hesitate to add more posts like these if you come across some other fun ones! Reza (14 days 5 hours ago): I have the same problem. this Java widget got error in compiling via Matlab 2018! Could you please show me how to solve this? GGa (15 days 23 hours ago): There isn’t anything “outside the UTF-8 range”. UTF-8 can represent any Unicode character, as far as I know.